A Joseon-period mix of a royal ceremony and a folk play will be performed in downtown Seoul for the first time in more than 230 years. The event is part of the fourth annual Royal Culture Festival, this year focusing on programs related to King Sejong the Great to mark the 600th anniversary of his enthronement. 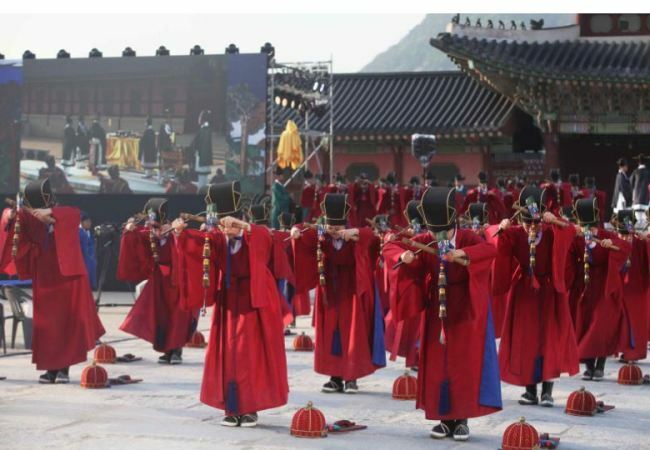 The festival, hosted by the Cultural Heritage Administration and operated by Korea Cultural Heritage Foundation, will be held from April 28 to May 6 at Gyeongbokgung, Changdeokgung, Changgyeonggung. Deoksugung and Jongmyo Shrine, highlighting the life and the mind of one of the most revered and respected Joseon monarchs. 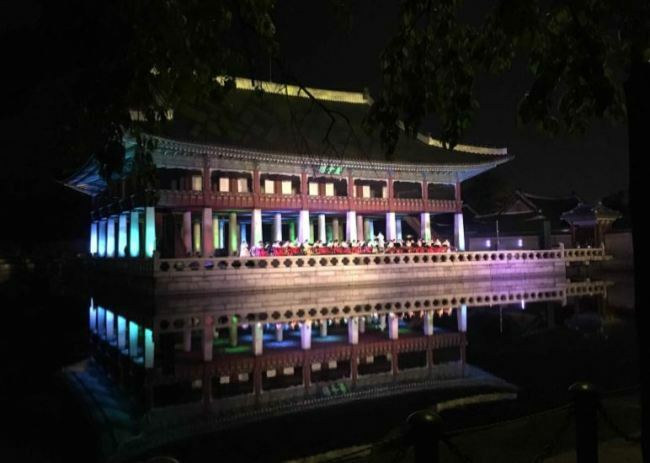 On the opening night, “Today, Meet the Palace” will take place at Gyeongbokgung, along with events such as a musical about King Sejong on May 5, a Hangeul exhibition throughout the entire festival, a taste of royal cuisine and intangible cultural heritage performances. According to the officials, Sandaehui represents the culture of sharing and communication to channel the philosophy of the great king. King Sejong is known for promoting science, art and culture, with his key achievement widely considered to be the invention of Korean writing system, Hangeul. On the second day of the festival, Yesandae -- a form of Sandae-nori -- will take place at Gwanghwamun to re-enact a march of joy by the common folks celebrating the creation of Hangeul. Citizens can take part in the march that will start at Gwanghwamun and end at Gyeongbokgung. From April 30 to May 5, Sandae-themed performances will take place twice a day in front of the Heungryemun Gate of the palace. Royal palaces and Jongmyo, a Confucious shrine for the kings and queens of Joseon, will host a total of 34 different events. Changdeokgung will hold a Royal Culture Festival edition of its ongoing Moonlight Tour on May 3-5, and music performances from April 29 to May 6. 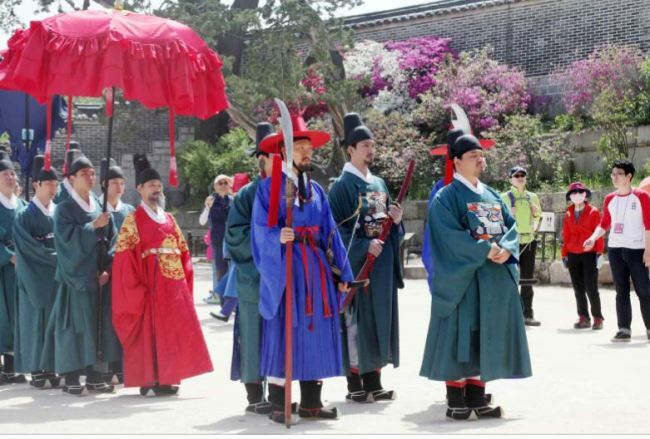 At Changgyeonggung, visitors can dress up as government officials and palace workers on April 29, while a re-enactment of a real-life incident during King Jeongjo‘s era will take place on May 5-6. 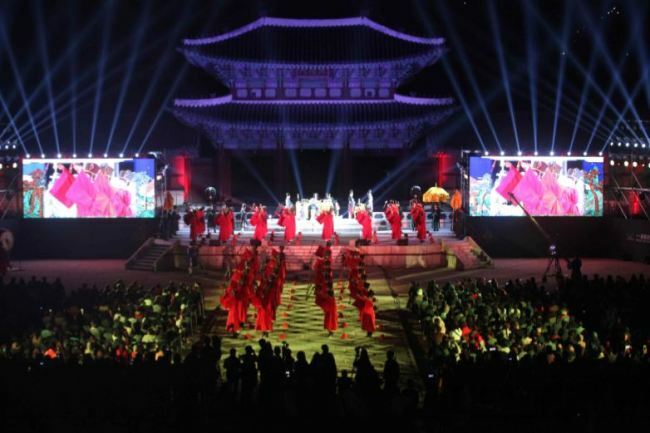 A nighttime musical performance of the ceremonial music will occur in Jongmyo on May 2-4, along with other programs showing how the royals honored their ancestors. In order to assist the visitors, a free shuttle bus service to the four palaces and Jongmyo will be operated during the festival. They run between noon and 9 p.m.
For more information about the festival, visit www.royalculturefestival.org, which also provides information in English.